Missed the British Legal Technology Forum 2018? 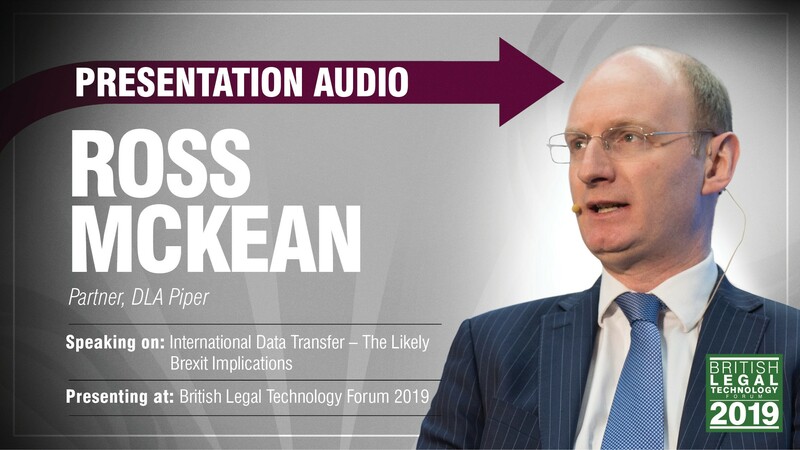 Listen to a recording of this live panel discussion at the British Legal Technology Forum 2018 simply by clicking the play button above. Gary Gallen is one of the UK’s leading corporate defence lawyers, with over 25 years’ experience. He is frequently engaged on highly sensitive and often public cases defending professionals facing criminal prosecution and regulatory investigation the length and breadth of the UK. Gary combines a passion for the law with a compassion for those who use it. After leaving his job at a major national law firm, he founded rradar to support organisations, helping them to understand business-related legal risk at any stage in their development and prevent things going wrong in the first place. Amongst these resources are online training, seminars, webinars, one-to-one calls, podcasts, an incident reporting app and – a world first – a virtual legal assistant called rradargrace, based on IBM Watson artificial intelligence technology. Thanks to Gary’s leadership and vision, rradar has expanded at an incredible rate. Since 2013, turnover has risen by 695%. Employee numbers stand at over 100 at three offices and client numbers exceed 50,000. rradar has also secured 10-year exclusive global contracts to work with AXA and IBM, an industry first. 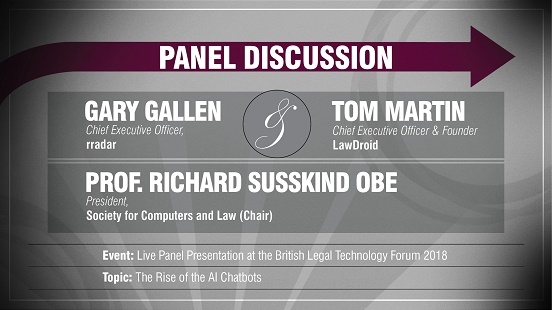 Tom Martin is the CEO and Founder of LawDroid, a chatbot development and consulting company to the legal industry. He’s been hired to create bots for lawyers and law firms to automate law practices and improve profitability. In November 2016, Tom developed LawDroid, an AI driven legal chatbot to assist entrepreneurs in incorporating their business. 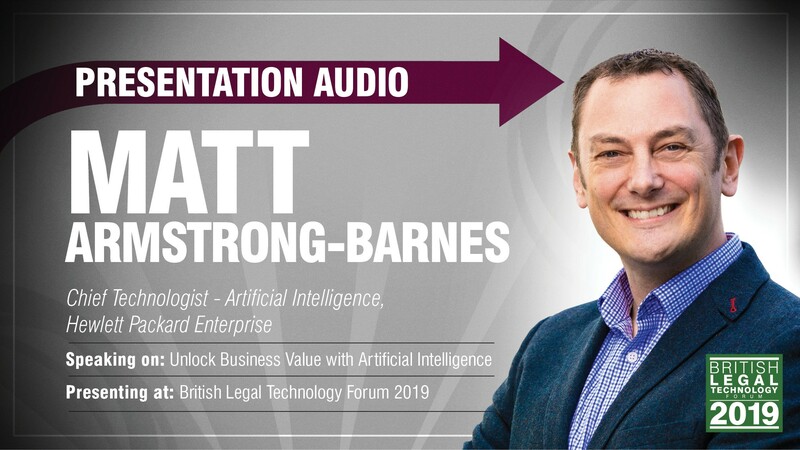 In November 2017, Tom developed Larissa, an AI supported voice bot to provide essential legal advice and information about divorce. Tom is a speaker and author on AI and bots in the legal industry. Tom has been a speaker at Clio Cloud Conference, LegalWeek, CodeX Stanford, Evolve Law and Thomson Reuter’s Emerging Legal Technology Roadshow.  LawDroid has been recognized for innovation by and received support from Facebook’s FbStart program, MaRS Venture Start program, and VentureLabs startup accelerator. A graduate of Yale University and UCLA School of Law, Tom is a 2017 Fastcase 50 honoree. Tom is also co-founder of Vancouver Legal Hackers, advisor to ATJ Tech Fellow Program, member of ARAG Technology Innovation Committee, and Chair of Education for Group Legal Services Association. Born and raised in Los Angeles, California, Tom now lives in Vancouver, Canada with his wife and two daughters.